The Department of Mechanical Engineering was started in the year 2009. Mechanical Engineering is one of the most creative, broadest and most versatile of the engineering professions. 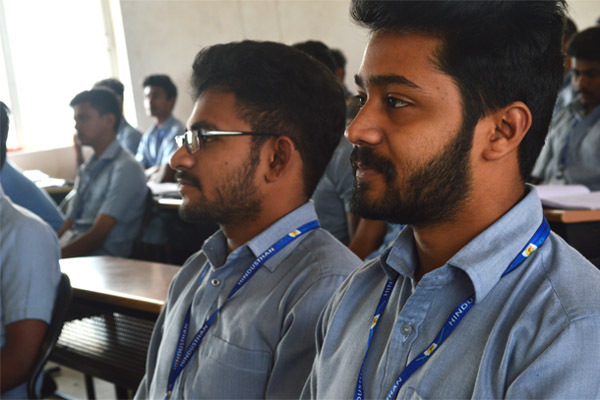 The faculty members are experts in robotics, bio-engineering, microprocessor control, energy conversion, energy management, fluid dynamics, power production, manufacturing, computer-aided design, machine design, and material science and with this experience they help students to develop as transformational leaders. The mission of the Department of Mechanical Engineering is to produce Mechanical engineering graduates who will possess the acumen, competence, and skills needed to enter, succeed, and lead in professional practice or post-graduate studies. The goal is to provide learning and nurturing environment that stimulates faculty and students to collaborate in solving practical problems, motivates lifelong learning, and helps to reach their highest potential. 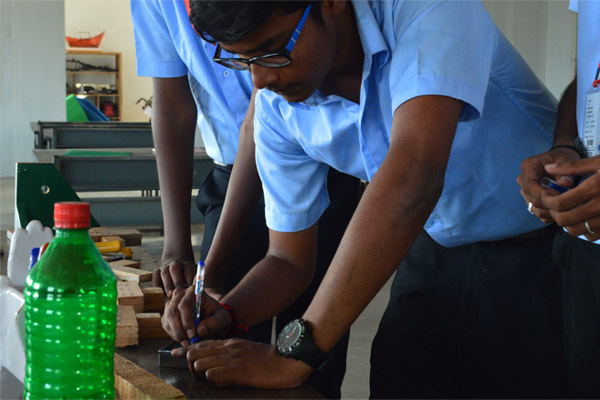 The students are given exposure on various Laboratories to have hands on experience. 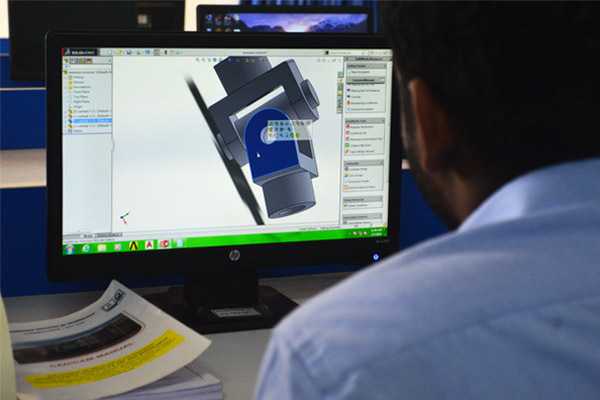 In Computer Aided Design Laboratory training is being offered in Pro/E, Solidworks, CATIA,ANSYS,MSC NASTRAN softwares. 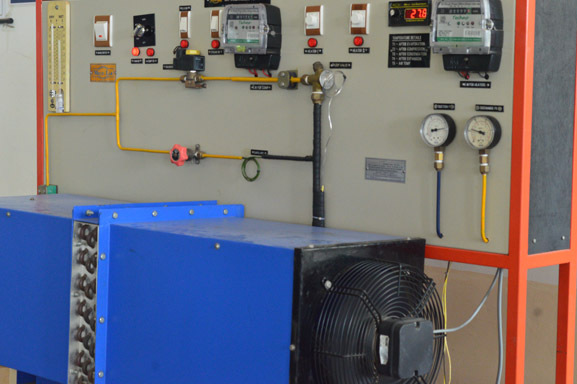 FrancisTurbine, PeltonTurbine, Venturimeter, Orificemeter Calibration Apparatus and other hydraulic equipments in Fluid Mechanics Laboratory render immense knowledge to excel the budding Engineers about the flow of fluids through different passages, turbine wheels and nozzles. 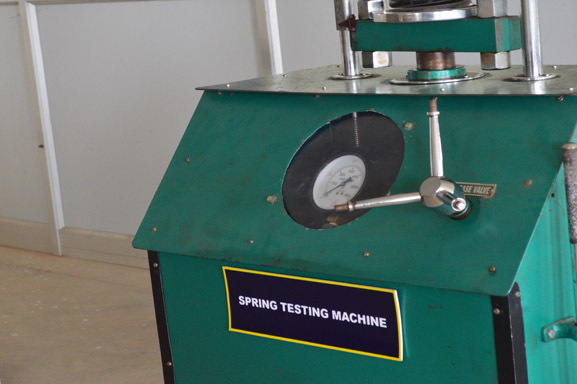 Strength of Materials Laboratory is equipped with Universal Testing Machine, Torsion Testing Machine, Compression Testing Machine, Tensile Testing Machine, and Impact Testing Machine. 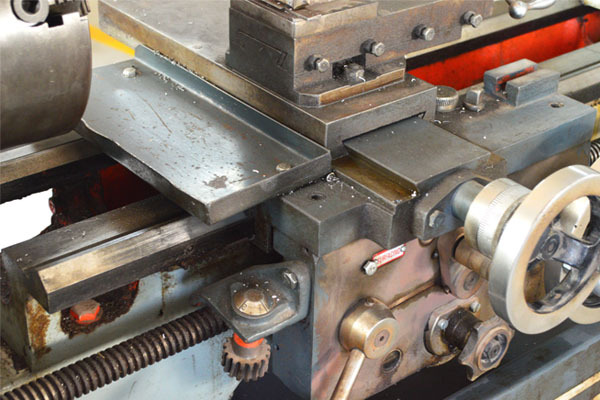 Horizontal Milling Machine, Light Duty Center Lathe, Cylindrical Grinding, Light Duty Center Lathe All Gear Lathe, Surface Grinder are used in Machine shop to train the machine tool working for the mechanical engineers. In addition to these Internal combustion research laboratory, Dynamics laboratory, Heat transfer laboratory and Mechatronics laboratory are catering the technical training for the students with latest equipments. 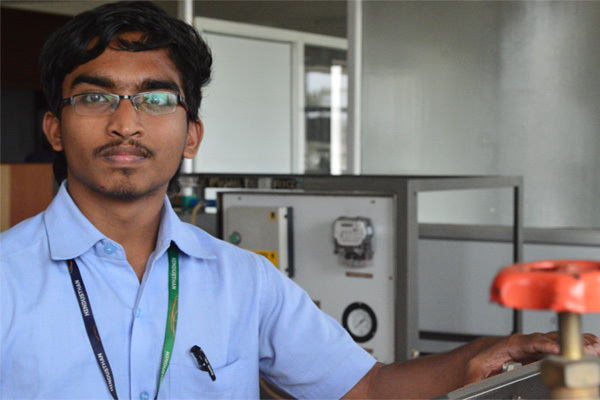 Industry –Institute interaction has been accelerated through doing student projects in Industries like BHEL,TNPL,Ennur Thermal Power Plant and LMW. Consultancy works are being carried out through Hindusthan Centre for Engineering Design and Analysis. Student members of mechanical engineering department won the Runner Up and a Cash prize of Rs. 40,000 in Indian Karting Competition among the 180 technical institutions from all over India organized by Imperial Society of Innovative Engineers, Jalndhar, Punjab. Another batch of students designed and fabricated a mini bike of 75cc capacity. The mini bike passed in all tests of technical inspection and won prizes in various mini bike competitions. The Department organizes seminars, workshops and conferences frequently to update technical knowledge and to improve leadership qualities of students. Recently a National level faculty development program on ‘increasing industry knowledge In Academia’ was organized during 30th April-13th May 2015 with grant in aid of Rs.Six lakhs from All India Council for Technical Education, New Delhi. To inculcate professionalism in the field of mechanical engineering for the students by providing quality education and learning opportunities to become an ethically strong engineers contributing the growth of the nation in future. MD1: To promote quality technical education to the students that prepares then for professional engineering practice. MD2: To frame the engineering students with high moral and ethical values. PEO1: Graduates will expertise in technical, scientific and mathematical knowledge and skills in mechanical engineering by providing application concepts to them. 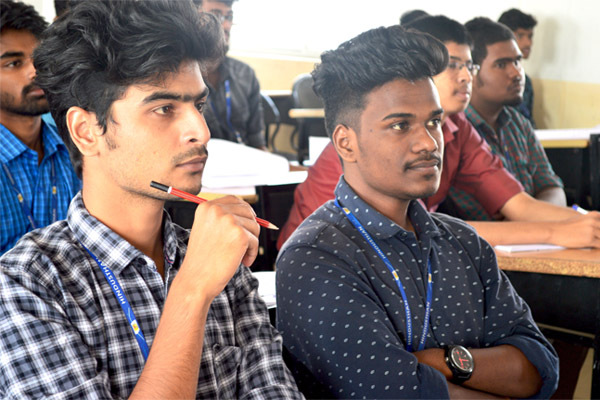 PEO2: Graduates will fulfill the industrial needs through training and soft skills programs Imparting the ideas of modern techniques. PEO3: Graduates will work with human ethics and values who apply their skills developed towards the ecofriendly and socially responsible projects as an individual and as a team. PSO 3: Develop students to work professionally in industries or to become an entrepreneur by applying Mechanical Engineering and management practices. PO7: ENVIRONMENT & SUSTAINABILITY: Understand the impact of the professional engineering solutions in societal and environmental contexts, and demonstrate the knowledge of, and need for sustainable development. Manufacturing Technology lab provides necessary practical hands on training for the students to meet the current and emerging needs of the manufacturing industries in the society. The laboratory is fully furnished with heavy machineries like heavy duty centre lathe-all geared type, centre lathe-cone pulley type, Capstan and turret lathe, surface grinder, cylindrical grinder, centerless grinder, horizontal and vertical milling machines, planner and shaper. The laboratory also has equipments such as lathe tool dynamometer and milling tool dynamometer. Thermal engineering is a branch of science that covers energy conversion from one form to another, working of IC engines, modes of Heat transfer, principles of refrigeration and air conditioning etc. The objective of this laboratory is to provide the student a good environment to understand some very important concepts and applications in the field of IC engines and Heat Transfer. We have very spacious, orderly arranged thermal engineering laboratory. Dynamics Laboratory is a modern facility for performing a wide range of experiments in the area of Mechanics. The laboratory is concerned with providing theoretical knowledge and practical exposure for students in designing new mechanisms to practical problems in the industrial sphere. The laboratory is fully furnished with high-tech machineries like Cam analysis, Static and dynamic balancing, Balancing of reciprocating mass, Whirling of shaft apparatus, Motorized gyroscope, Universal governor apparatus, Vibration lab equipment integrated with data Acquisition systems, etc. The Lab supports students of undergraduate courses, research scholars and useful for advanced experimental research. The Lab provides required practical training to all Engineering Students. The workshop has all the necessary hand tools to carry out carpentry, fitting, plumbing, welding, foundry, smithy and Sheet metal work. Apart from power tools, the workshop also has some machines such as DC Arc welding equipment, foundry power sieve and multipurpose wood working machine. 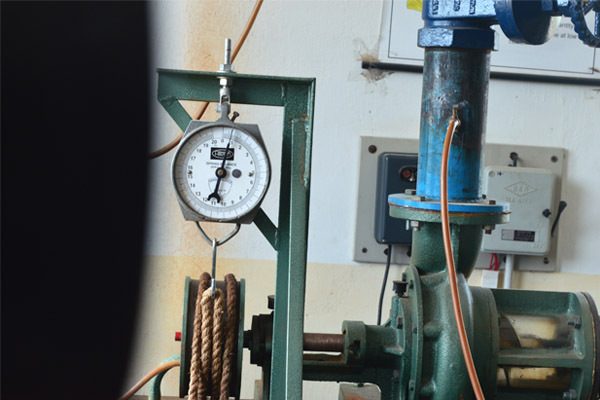 The Metrology and measurements Laboratory in the Department of Mechanical Engineering is a well-equipped laboratory which has facilities for regular academic purposes and research. 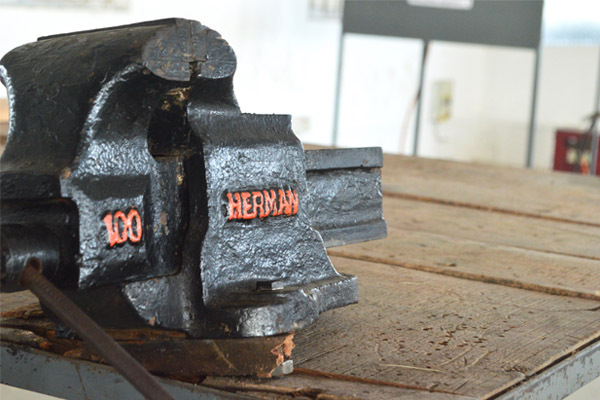 Through an arsenal of state of the art facilities and infrastructure, and on the strength of its expertise, the Metrology and measurements laboratory has evolved into a premier laboratory in the stated areas. It has the equipment such as Autocollimator, Profile projector, Tool maker’s microscope, Floating carriage micrometer, Telescope gauge, Bore gauge, etc. CAD/CAM Laboratory has been established during 2003-2004. At present the laboratories latest configuration terminals, networked with one IBM server. Latest softwares in the field of CAD/CAM area have been purchased and are continuously upgraded. This enables the students and faculty to learn the advanced software and carryout research works. Softwares available in CAD Centre are Auto Desk Inventor Mechanical Desktop-6, Solidedge, Solid works, Femap with NX Nastran, Unigraphics. The lab has a well laid out computer controlled FMS system. Fluid Mechanics and Machinery lab equipped with the Pelton turbine, Francis turbine, Kaplan turbine, double acting reciprocating pump, submergible pump, mono block pump, and piston pump. 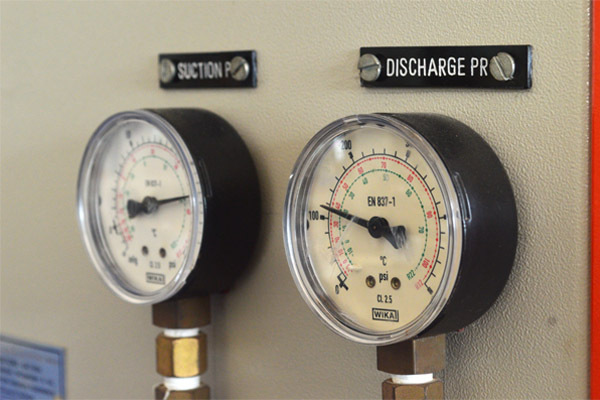 The objective of this laboratory is to study the operating characteristics of hydraulic machines and flow devices. The laboratory is important for Mechanical Engineering, Civil Engineering and Electrical Engineering students. The major equipment focuses on the study and calibration of gauges, triangular notch, rectangular notch, Orifice meter Venturimeter and determination of Chezy's constant and Darcy's coefficient. In addition the performance test on hydraulic machines like centrifugal pump, Reciprocating pump, Petrol Wheel, Francis turbine and Kaplan turbine are also conducted. Having 24 years of teaching experience and published around 15 papers in national and international conferences. He is also a reviewer for five International Journals namely Journal of Mechanical Science and Technology, Journal of Machining Science and Technology, Gazi University of Journal and science, British Journal of Applied Science and Technology and Composites: Part B. He has held Academic position as Member of Board of studies. He is a life member in Indian Society of Technical Education and Member in society of Automotive Engineers. He is having more than 20 years of teaching and research experience. His patented innovation is ‘Sun point solar thermal energy collector’. (Patent application number :2376/CHE/2011 A. International classification number: F24J2/00.) His research articles are indexed in Scopus. He is also providing training for rural people, engineers, consultants and planners for efficient usage of thermal, electrical and chemical energy. Dr.S. Kannan , M.E., Ph.D. He is basically design expert having more than 15 years of teaching and industrial experience. He guides young engineers in the advanced machining processes. Recently he has published 4 papers in International journals. His area of interest includes Computer Integrated Manufacturing, Computer Aided Manufacturing. He is basically design expert having more than 12 years of teaching and industrial experience. He guides young engineers in the gas metallic arc welding. Recently he has published 2 papers in International journals. His area of interest includes studies on gas metal arc welding of ss409m ferritic grade stainless steel. Has 9 years of academic experience in teaching. Has to his credits 4 international and 2 conference publications. His area of interest includes Manufacturing , Automation and Thermal Engineering. He is a life member of ISTE. Has a total of over 26 years of industrial and academic experience in various capacities. Has published 2 international and 1 conference papers. He is a life member of ISTE, IRED, AISQEM and ISME. Has to his credits 4 international and 6 conference publications also has published 2 text books. Has received an award for excellent professional achievement from Society of professional engineers and also received an award for Best outstanding faculty by TAPSA. Has a total of over 20 years of industrial and academic experience in various capacities. Has published 2 text books in a reputed publications. His area of interest includes TQM, Manufacturing, Design and Automation. 10 years Experiences professor and has published 4 papers in Journals both His area of interest includes Fluid Mechanics, Manufacturing and Automation. Has a total of over 6 years of academic experience in various capacities. Has published research papers in various international/ national journals and conferences. He is a life member of ISTE, SMISME. Has an experience of 5 years in teaching. Has as attended 2 national conferences. His area of interest includes Manufacturing technology, CAD/CAM, Engineering mechanics and Engineering graphics. With 5 years of teaching experience,he has published 4 papers .His area of interest includes Strength of materials, Finite Element Method and Analysis, Dynamics of machines& Composite materials. Has a total of over 24 years of industrial and academic experience. Has published 3 papers in internationalJournals and conferences. His area of interest includes Welding technology, composite materials, Manufacturing and Automation. Has a total of over 5 years of academic experience. His area of interest includes Manufacturing technology, composite materials.